Over the last year and a half I would say that I haven't been completely 100% true to myself and my style. Now being someone who earns a living from her style, it's a bit hold of me to come out with a statement like that. This post is going to be a bit rambly, but keep reading. I have a point. Promise. Growing up, I wore dresses. Come rain or snow, you'd find me wearing dresses. I didn't own a pair of trousers. Not because of my mum, but because I would throw a tantrum if she ever tried to dress me in anything but a dress or skirt. I was always extra. I had to have a little bag and shoes that matched. Moving into my teenage years, I still had this style, although I would occasionally don a pair of jeans (jeans for genes day). But still I preferred dresses. I was never easily influenced by what the girls around me wore. I was always the one who went the extra mile. I always looked pristine and I dressed a lot more sophisticated than my age. 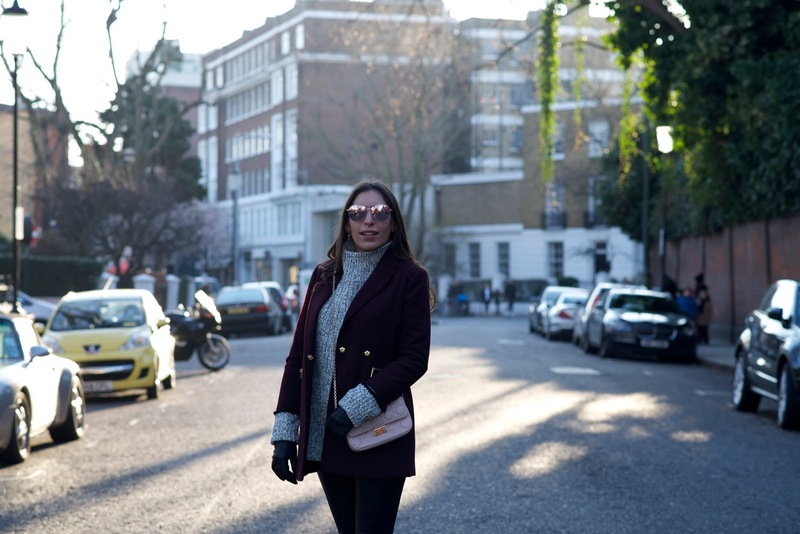 Throughout university, slowly my style incorporated more trousers, I would easily rock up to lectures in a pair of tailored trousers and some heeled ankle boots paired with a vest top (my attempt to tone it down a little). 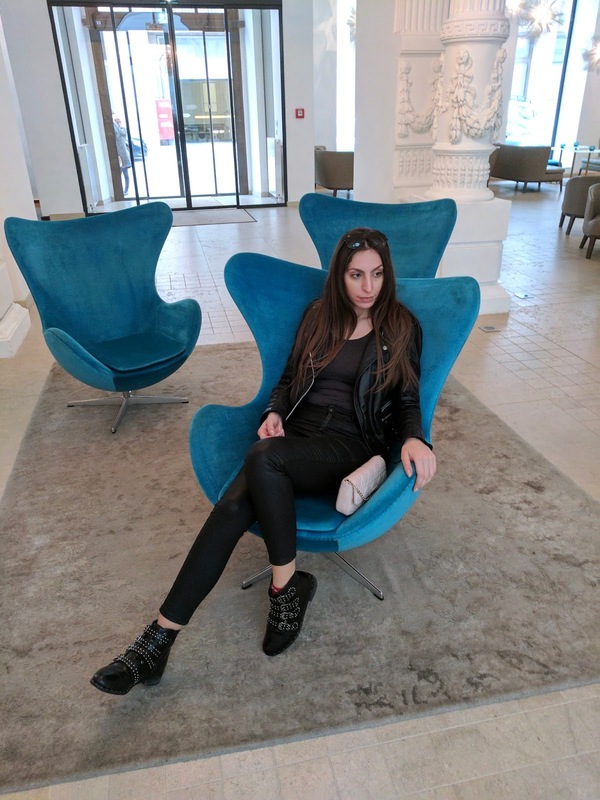 This is also the time that I re-started my blog and set myself the 100 day challenge where by I would take a photograph of what I wore for 100 days straight and upload to my blog daily. When going out for dinner with my friends they would always say, we have to dress up otherwise we will look like tramps next to Teral. 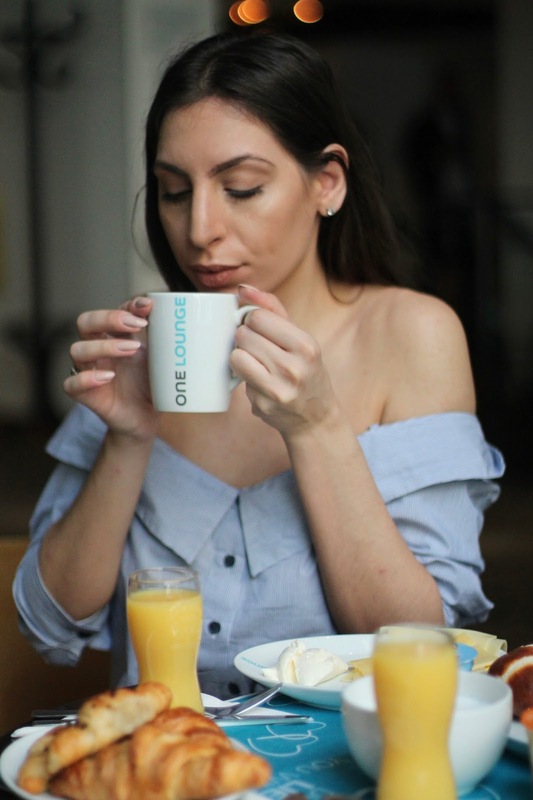 After university, I started working in schools then I worked for a few different jewellery brands doing their blogging and social media and attempting to focus on my blog more. Again, my style was relatively the same, only difference was instead of dresses every day, I was wearing a lot more jeans. My style had changed into more of a casual, practical but still girly look. 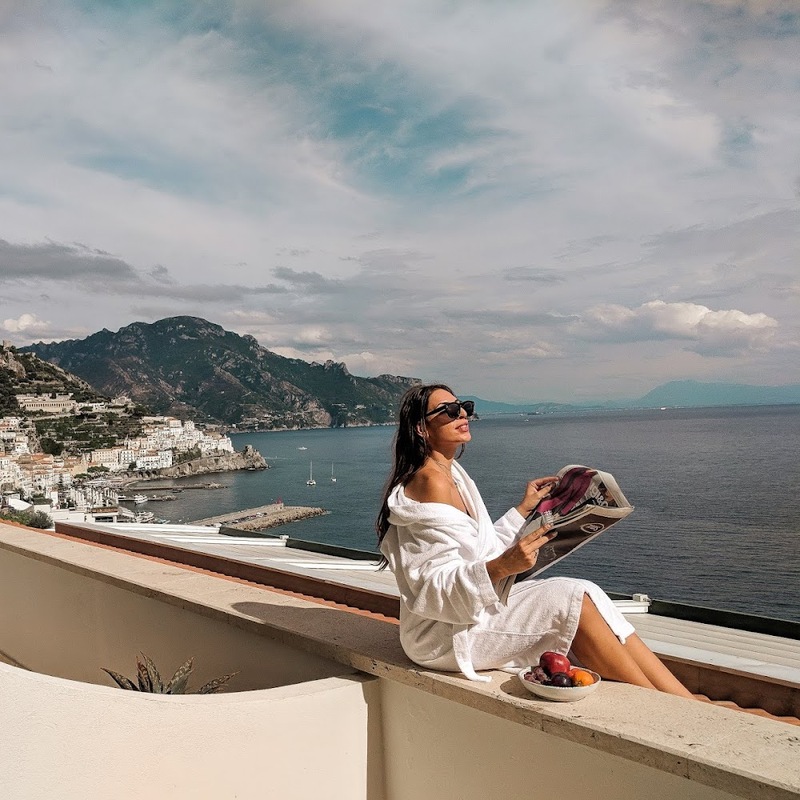 Come blogging full time. I feel like this is where my style has changed the most and where I feel I have lost my own unique style. 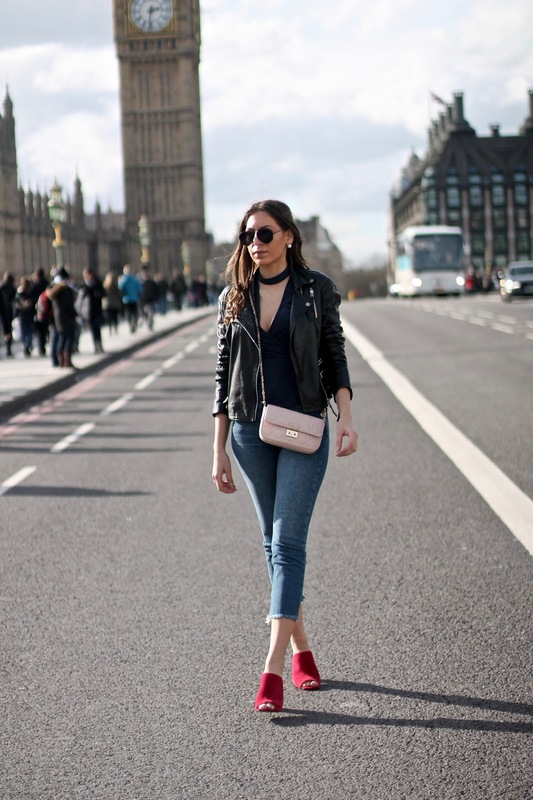 I know my job is all about what I wear but sometimes I feel like I have been following a trend that has been set by other bloggers and that I have lost my true style that made me me. 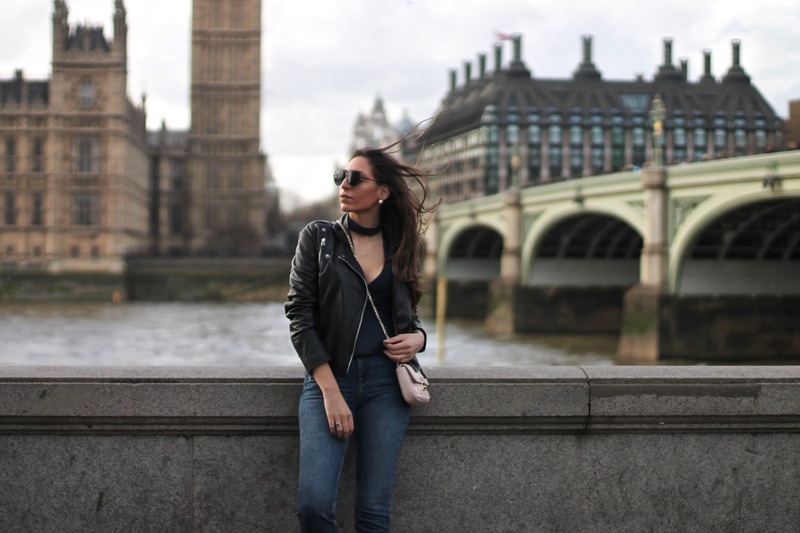 There have been so many different trends that we've seen come and go, and I've always tried to make something work for me, I've tried to style it differently to the million other bloggers out there. But I'm just a little bored of seeing the same thing done again and again. Going forward, I've decided that I need to head back to the beginning of my blog (please don't do this as my photos were absolutely dreadful back then) and get inspiration from my younger self, who had a more sophisticated look. Who owned wearing heeled boots to university, and who always went that little bit further to look different to everyone around her. I feel like with Instagram and other social networks it's so easy to get caught up in all the fad trends. And I still will incorporate new trends into my style and still wear jeans and trousers, but I will do so in a way that I feel represents the true identity of This Is Teral. Don't worry, I'm not going to be running around in suits all day long, I'm just going to add a little more sophistication to my looks. 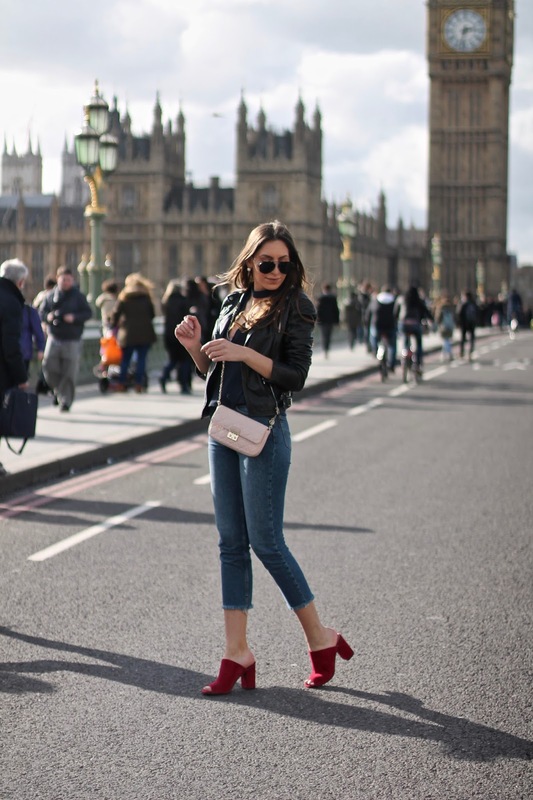 How do you feel about the whole trend led focus a majority of bloggers have been swept up in? If you've been following me for a long time, what would you like to see again? If there's one thing I love just as much as fashion is travelling. 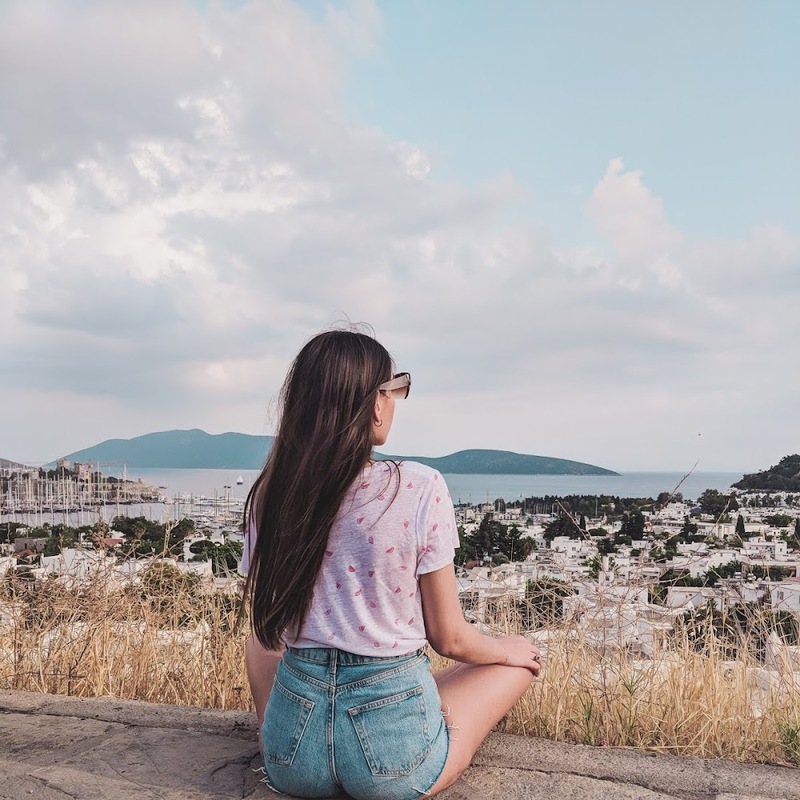 I've always loved exploring new cities and learning new cultures. Living in London means it's super easy to head into Europe. 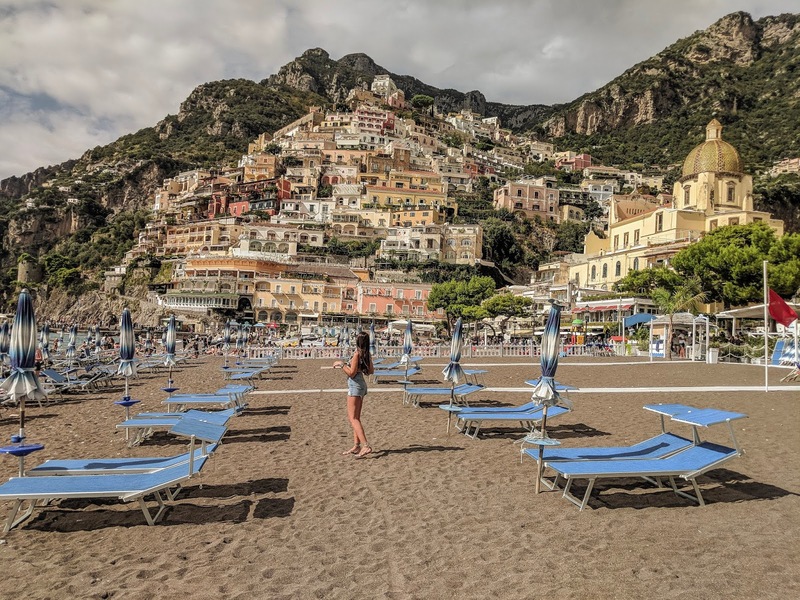 A few hours later you can find yourself exploring the streets of a town you've never been to before and that's why I love taking weekend breaks. 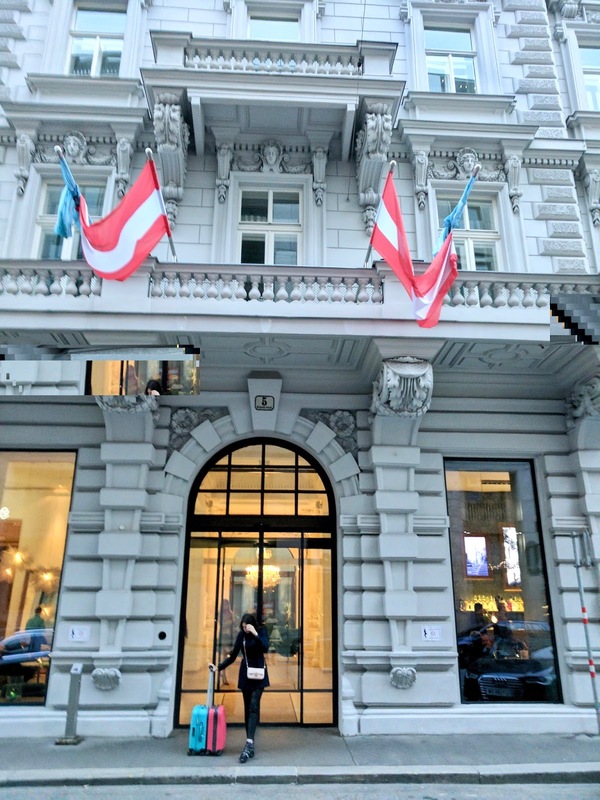 This month my mum turned 50 and with mothers day also in March I thought it would be a great time to take her away to Vienna for a few days, after all, it's only a few hours away. 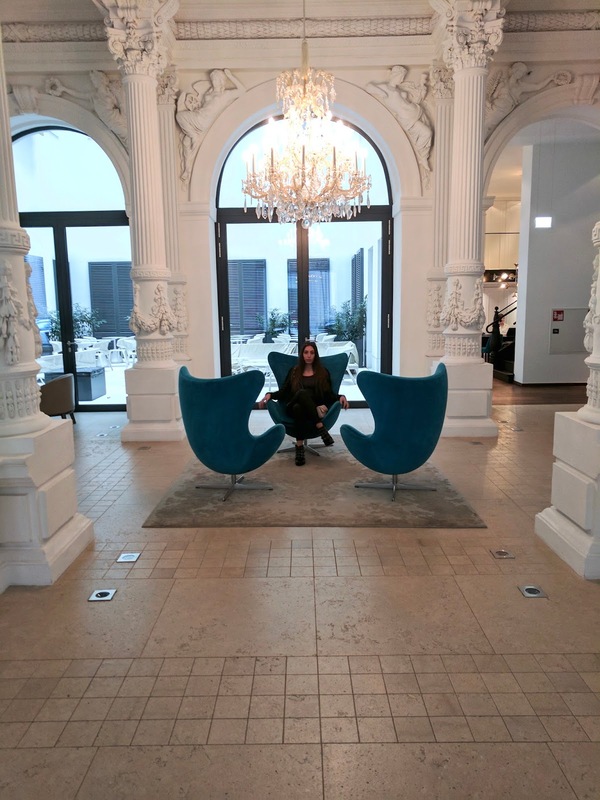 We stayed at Motel One Wien Staatsoper for two nights. Motel One is a budget design hotel chain, they have a few in England and a load more in Europe and many more currently being built. 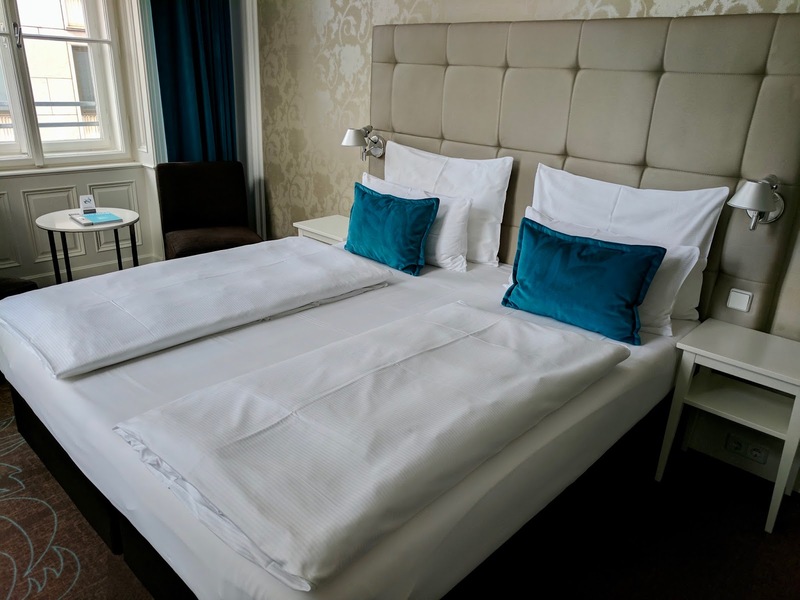 The hotels themselves are 3*, that said the hotel was extremely clean, the staff were so friendly and helpful and in my opinion, the only reason the hotel has not got a higher rating is because of the lack of amenities in the room like a mini bar, dressing robe and safe. 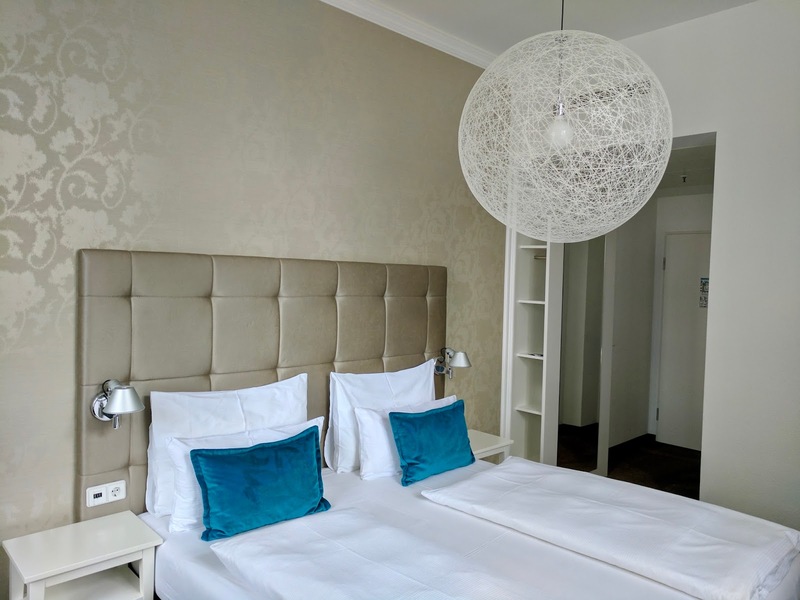 Motel One Wien Staatsoper is a minute walk from the station (just make sure you take the right exit at Karlsplatz) and as it has such a central location you can walk to a lot of the attractions in under fifteen minutes. Travelling to the hotel from the airport was so easy. In under half an hour we were in our hotel leaving our luggage ready to explore the city. It's worth noting that check in is at 3pm, however the hotel is more than happy to look after luggage before checking in and on check out. Our hotel was a great mix of modern with classic. The hotel itself is all white and turquoise runs throughout the interior. 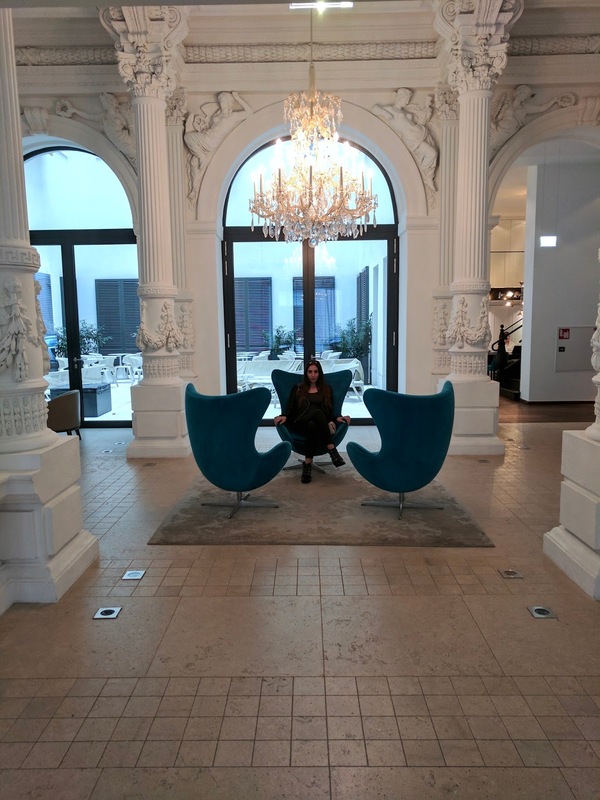 The lounge area has such gorgeous designs of old architecture that we completely fell in love with it. The room itself was quite a large space. We had an extremely comfortable double bed, small storage space to hang coats and a few items, a lounge area with two arm chairs as well as an ensuite bathroom with shower. 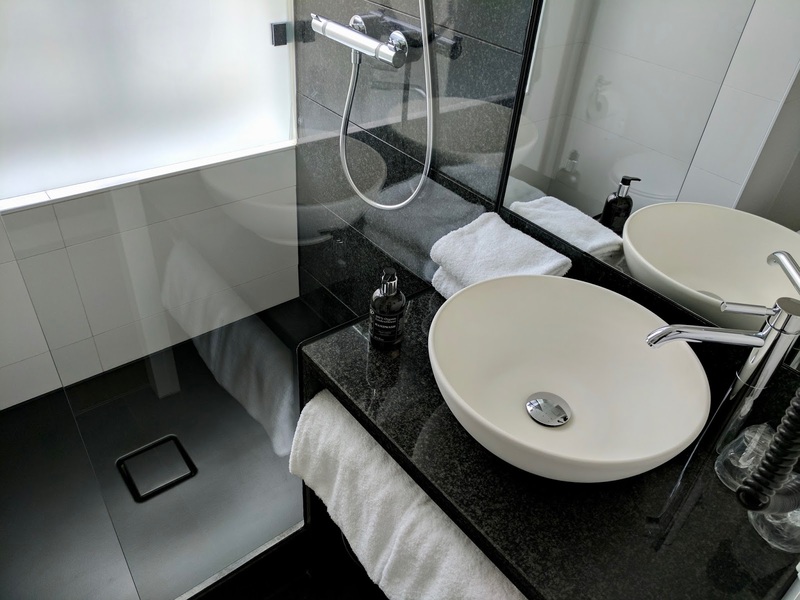 Motel One pride themselves on their bathrooms calling them mini spas and I see why as although they are quite compact, there is still enough space to shower and get ready easily. The room had two large windows bringing light into the room and fresh air when needed. Alongside this, there was a fully functioning TV in which an hour long video of fire would play on repeat until you either fall asleep or switch the TV off. 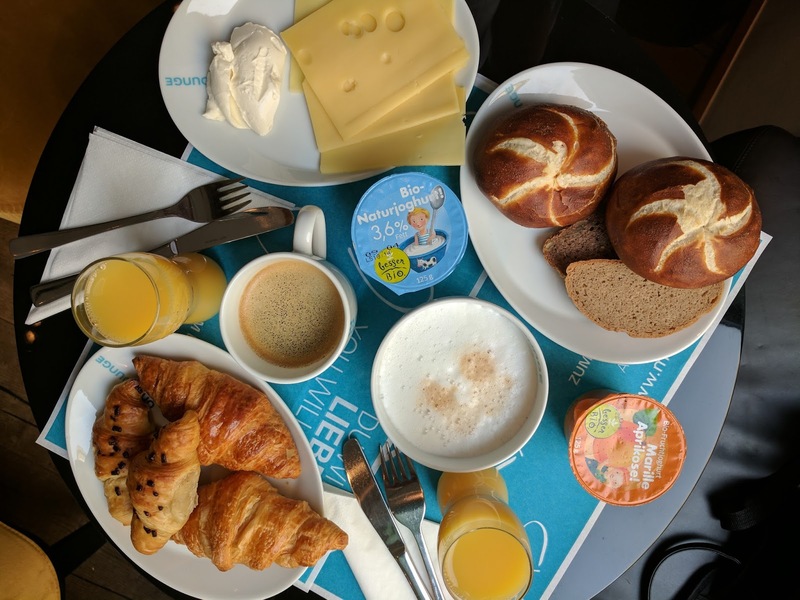 Breakfast in the hotel is from 6am-10am consisting of a €9.50 buffet which includes everything from cereal, eggs to some of the most delicious breads I've ever tasted. Everything was fresh, and plentiful, as well as something for everyone especially those who have any dietary requirements including organic and Fairtrade products. The hotel has free wifi from the minute you check in and you can use it all over the hotel, from your room to the lounge and the bar. We enjoyed coffees around the bar during the day and cocktails in the evening all which were reasonably priced for Vienna. 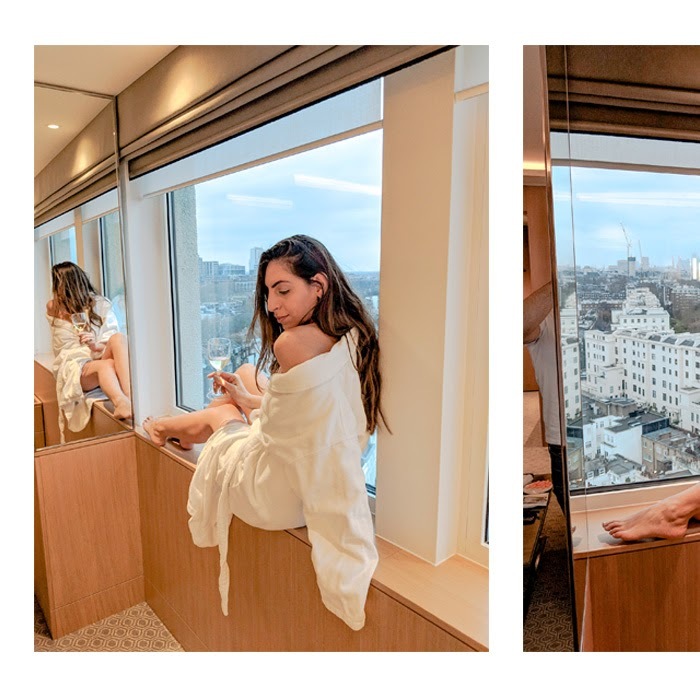 There are many different areas to lounge around in the hotel as well as an outdoor terrace which would be perfect for the summer. Unfortunately, it was not quite warm enough but in the next few months it will be a perfect place to chill out after a busy day exploring. The hotel was home to a young business crowd which gave a really relaxed atmosphere. 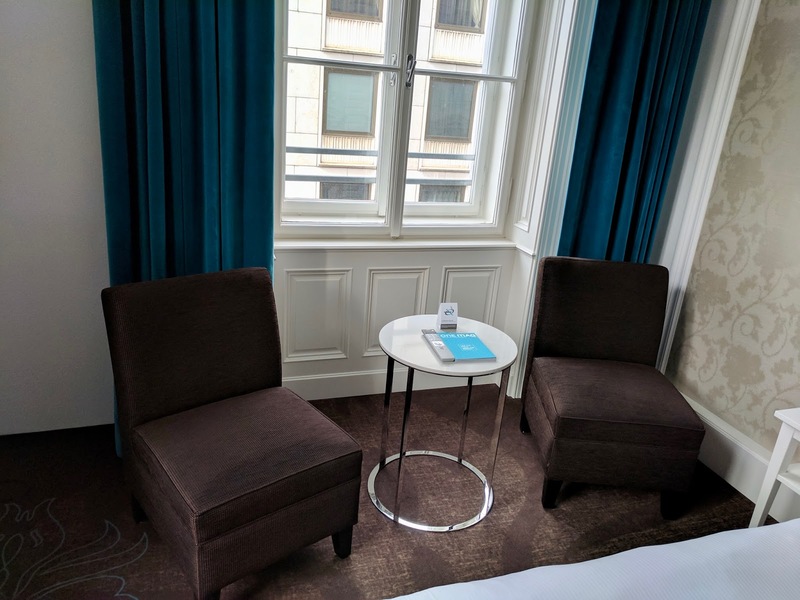 Overall, our experience with Motel One has been more than pleasant and we would happily try one of their other hotels. This is possibly (hopefully, my last wintery look until the end of the year. As the sun has been shinning the last few days I have really felt in the mood for spring. That said, it's still pretty chilly so I put this look together. The juxtaposition of the burgundy and the pink is really doing it for me. As the days get warmer, I think I'm going to enjoy wearing more of a brighter red with this Dior bag as I'm really loving the combination. This season, I feel like pink has made such a comeback. 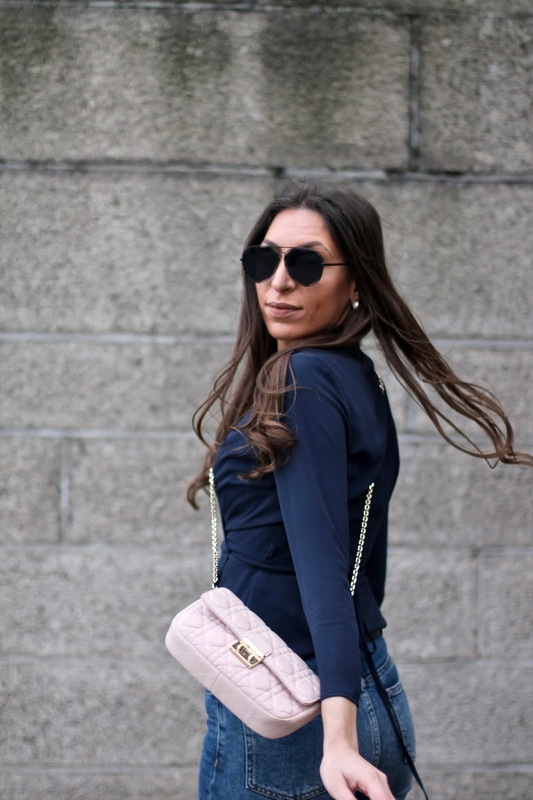 Everywhere I look from designers to highstreet, there seems to be this baby pink that keeps popping up. I find pink so girly yet sophisticated. No longer does it make me feel childish, it makes me feel sophisticated and elegant. You've probably noticed that this in not my normal photography style, and yes, you are right. With Spring being my second favourite season (summer being number one, and spring leads to summer so you know), I thought I would do something a little different and incorporate the sun into my photos in celebration of warmer days. What do you think of this style of photography? Are you as excited for Spring as I am? 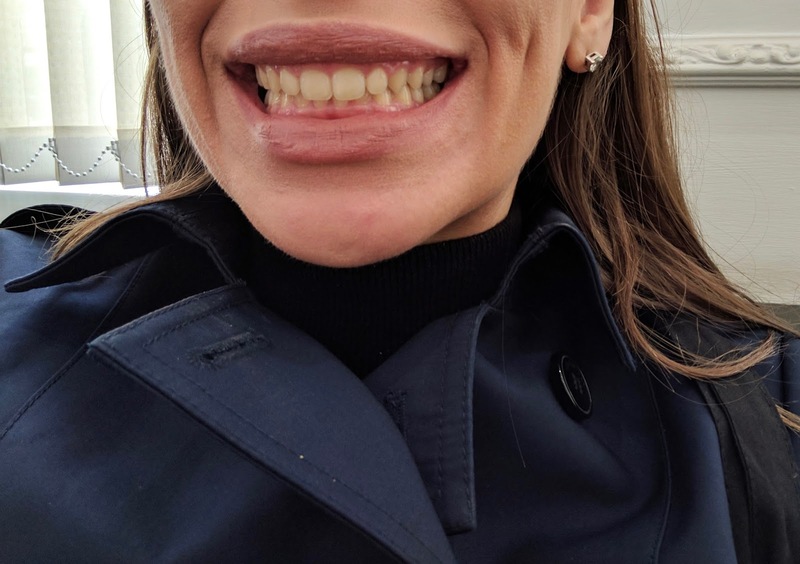 This week I finally got around to getting my teeth whitened. It's something that I have wanted to do for a very long time, but I've always been worried. 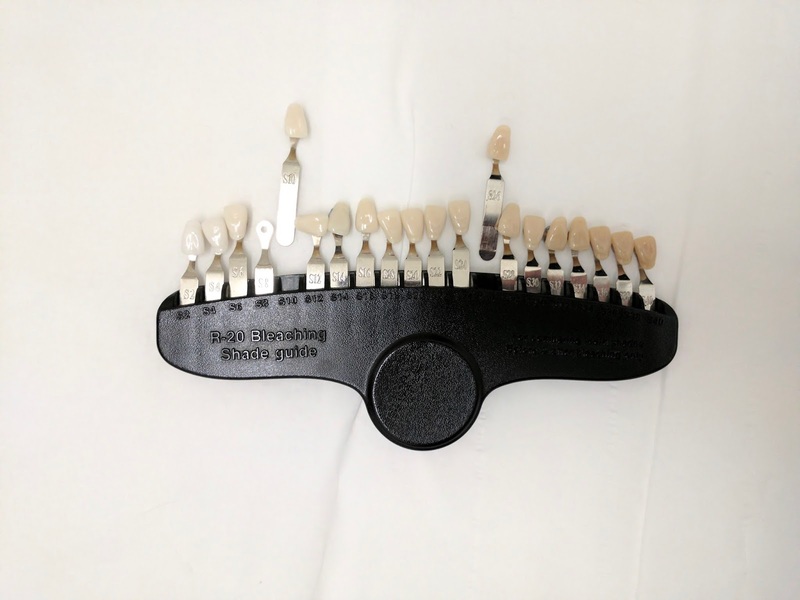 I've read countless reviews about sensitive teeth so it's always put me off. But one thing I will start is saying everyone's experience is different. 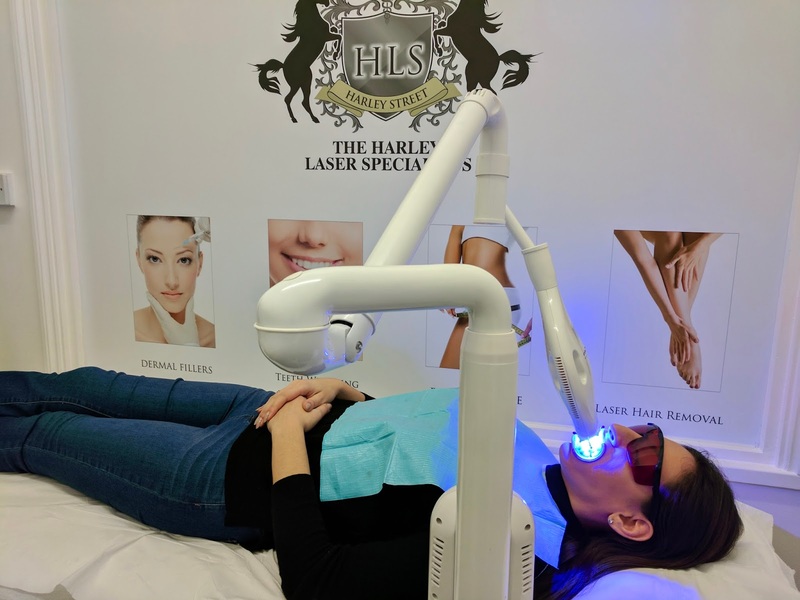 So I headed up to The Harley Laser Specialists last week for my first ever teeth whitening. After filling in all the forms an checking that I was eligible for it I headed to brush my teeth and go into the room to discuss what my treatment would entail and the aftercare. I was recommended not to eat and drink anything but white foods. White bread, rice, boiled chicken breast, not even to let my toast to get brown for 24 hours. I'm the sort of person who doesn't sit will with being told not to eat anything, I wanted to come home and eat all the greens and food with sauces! I didn't as I knew it would ruin my results (but I really wanted to). So the treatment itself is pretty simple. 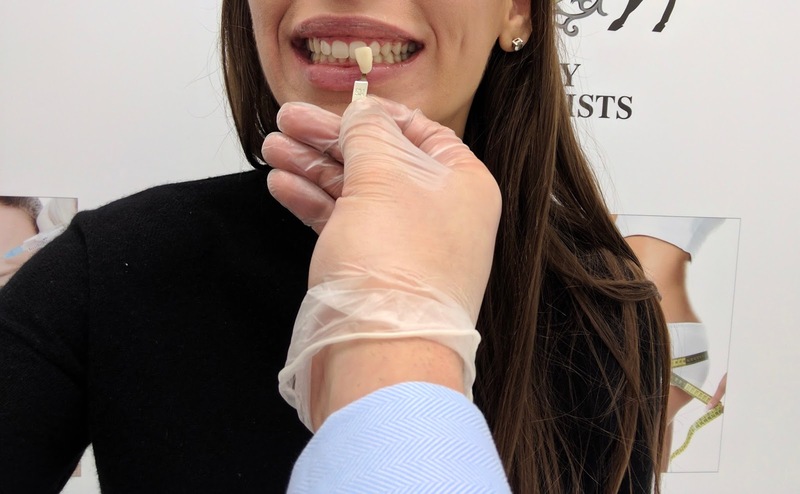 We measured up to see what shade my teeth were and then vaseline was added to my lips to stop them from getting dry during the treatment. The apparatus which opens your mouth was added (I'm not quite sure what the name is) and then the liquid gel was injected onto my teeth. This was then spread carefully with a cotton bud so that the gel did not get onto my gums. It is worth mentioning that it was only placed up to my canine teeth as my molars are actually quite white. The laser was then put on for half an hour. Once the half an hour was completed I rinsed out the gel. The process was then repeated one more time. 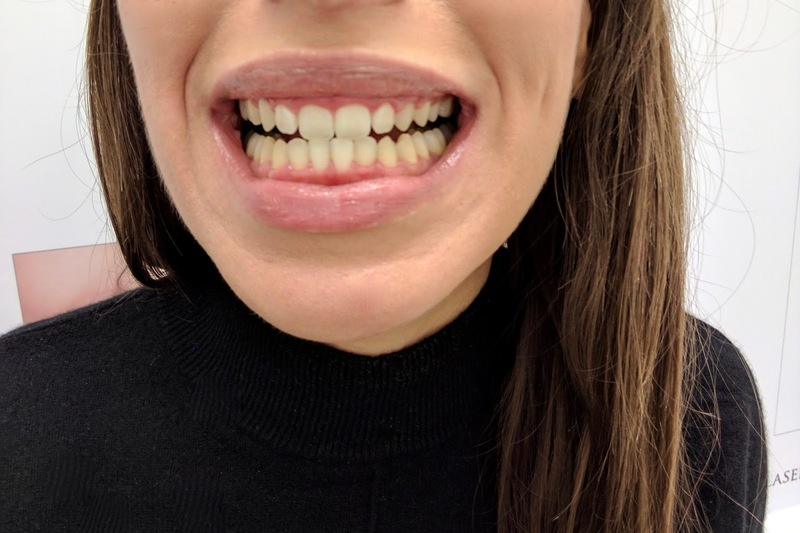 Once I had an hours worth of treatment we compared the colour of my teeth to the initial shade. I had gone 9 shades lighter. It is worth noting that the results vary from person to person. 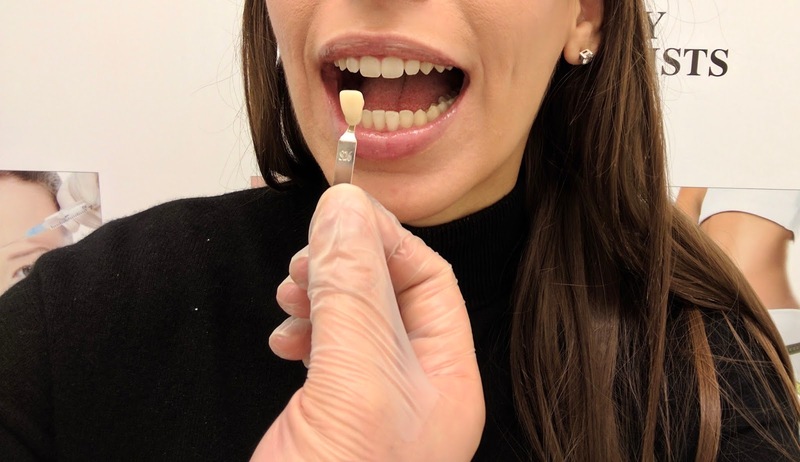 The fact that I had never whitened my teeth before meant that I had a really great result. I would love to head back to have another treatment in a few months to achieve the colour I desire. For all my lovely readers, they are offering a 50% discount on an hours teeth whitening session. With the code 'TERAL99' it's simply £99. So try it out for yourself. There clinic also offer various different treatments. 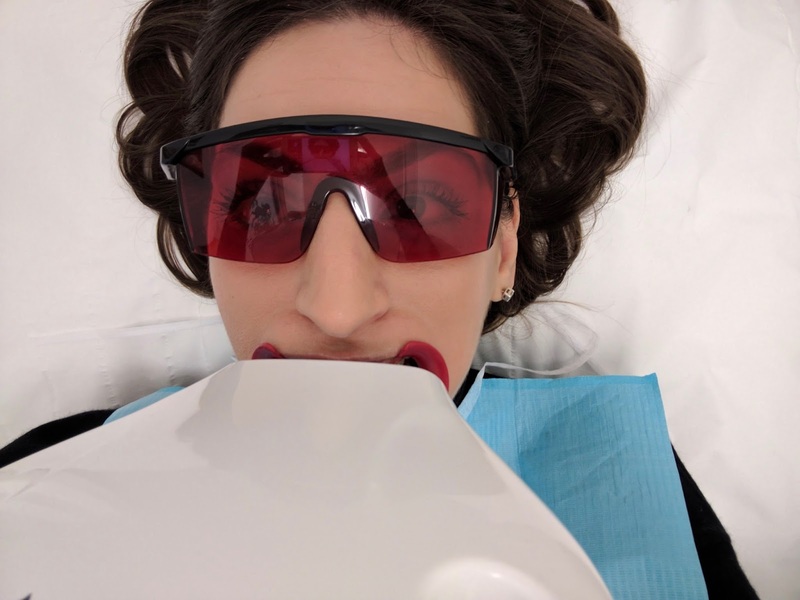 As I adore you guys there is a code to give you 60% off of full body 3D laser hair removal for 1 year at £1,499 (usually over £3,500) Use the code 'TERAL32'. 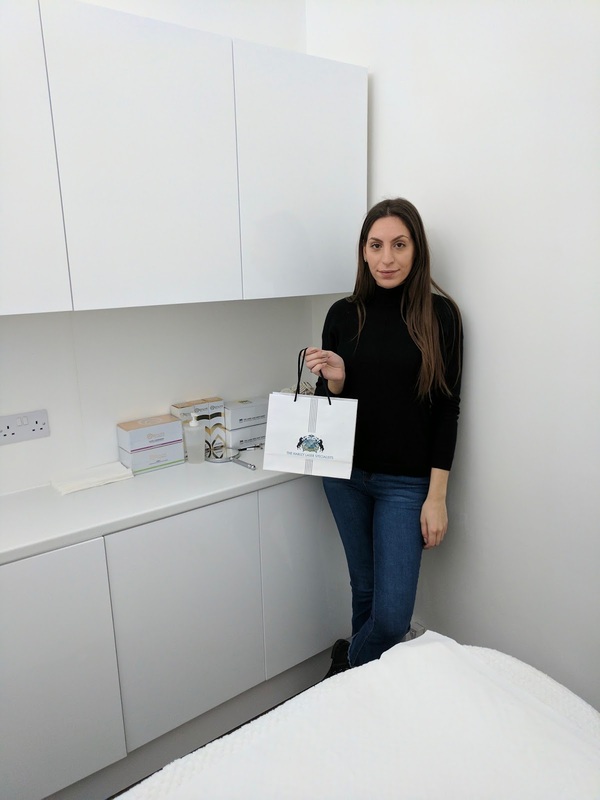 Alternatively, there is a 1 x session for under arm 3D laser hair removal completely free of charge so you can trial and see what the results are like, using the code 'TERALFUA'. 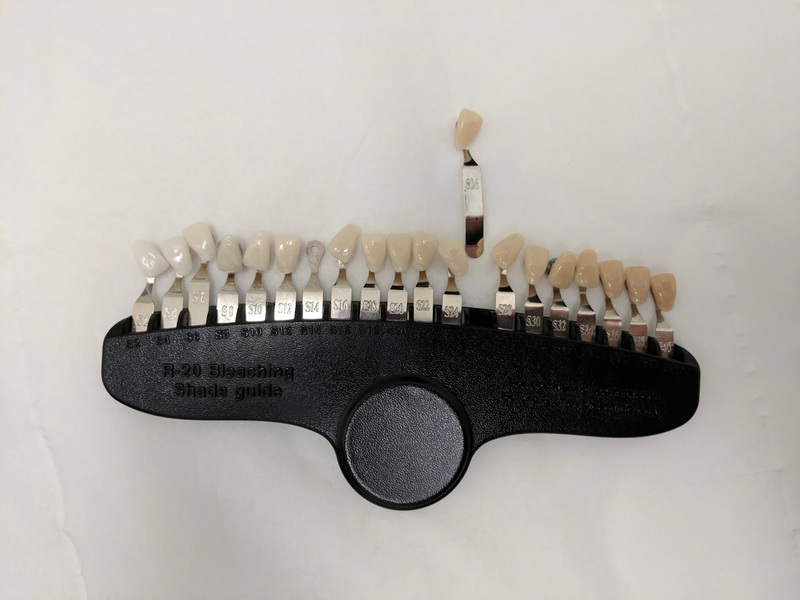 Have you ever had your teeth whitened? Would you like to try this service out? Jeans. Love them or hate them, I'm sure you've owned a pair (or 25) at one point in your life. Me, I love them. I have so many different pairs in different cuts, lengths and colours. With the biggest trend in jeans being the skinny jeans over the last five or more years, myself and the fashion industry have finally gotten bored, and have decided it's time to switch the jeans game up. Joni Jeans. I'm sure that rings a bell with 90% or more of you reading this. 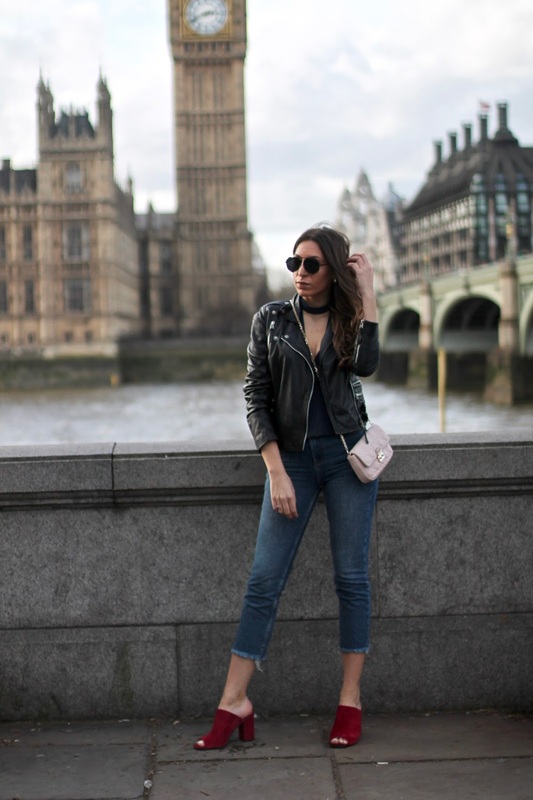 It was by far one of the most famous skinny jeans from Topshop, (I was always more of a Jamie girl) but this season, they have launched their Meet Your New Jeans campaign and there's a style for everyone. 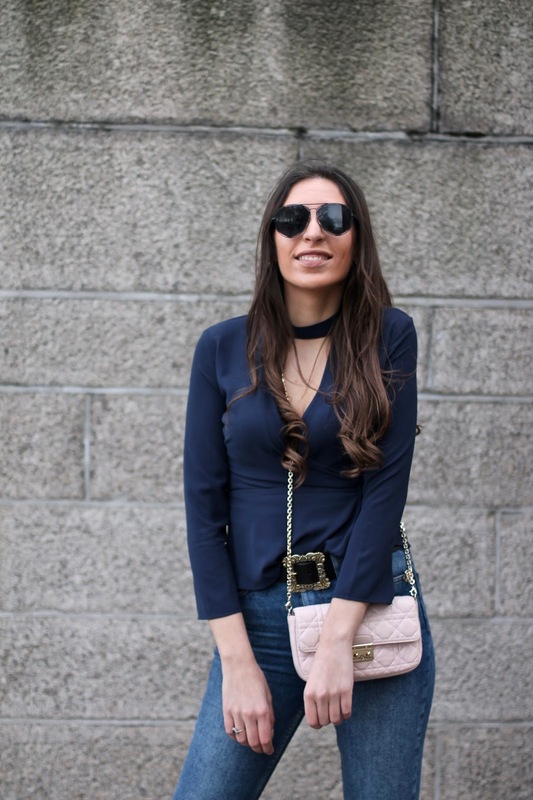 Whether you're still a skinny jeans kind of girl, a Mom jeans or straight leg, you're bound to find a pair you love. 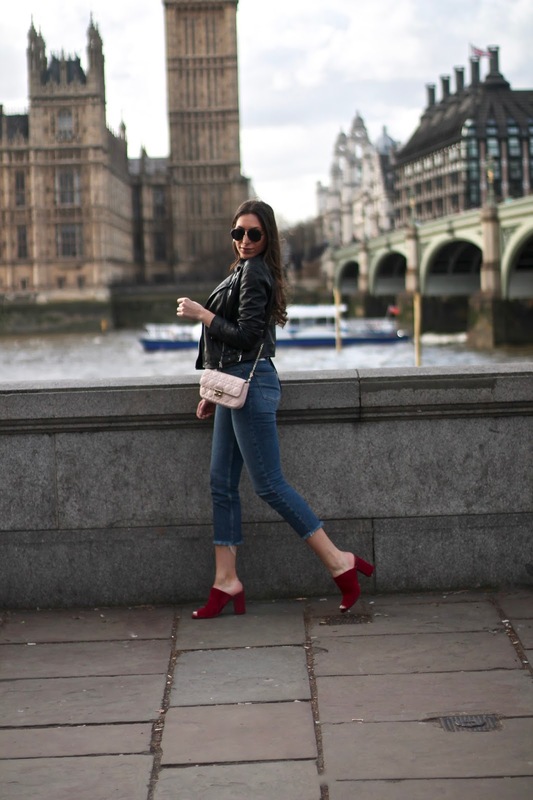 Half of the jeans in my wardrobe are from Topshop as their jeans are so affordable and the fact that they come in different lengths such as petite and tall s great for anyone who doesn't fit in that normal range. 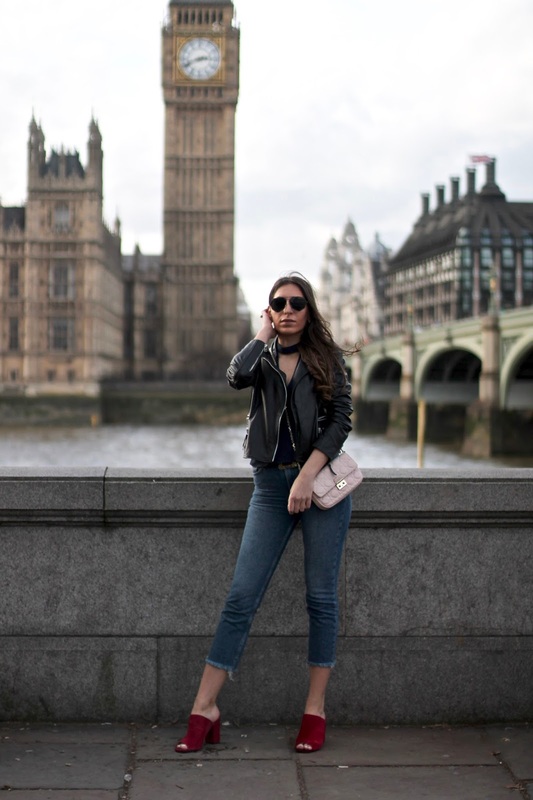 I have teamed my jeans with a head to toe look from Topshop, you can shop the look below. 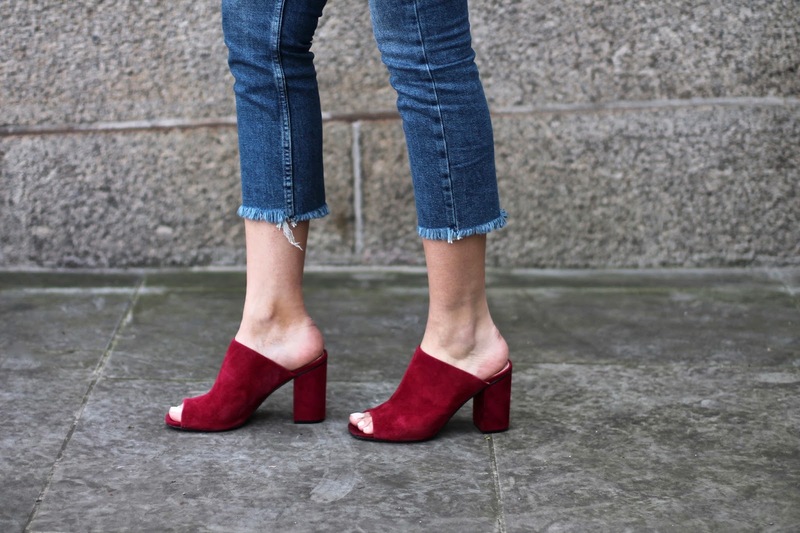 I decided to match my denim with a navy wrap around blouse and some red mules as I really like the way the red pops amongst all the blue in the look. For me, I find a good pair of jeans is an investment piece. It's worth finding a pair that fits you well as you can easily switch your outfit from a day look to an evening look. What's your favourite style from the new collection? Mine are obviously the straight leg, shortly followed by Mom jeans. They're perfect for spring.